A game’s post-launch support is as important as the game’s original quality. With that said, Mojang’s recent re-release of Minecraft for the Nintendo Switch seems to be a clear showing of the company’s willingness to offer buyers the latest in the Minecraft world. At the time of Minecraft’s original Switch Release, fans noted that it lacked much of the content familiar to its other console and PC counterparts. The re-released version aims to introduce some of that content. The first major change with this re-release finally brings the highly anticipated Aquatic update, which builds upon the game’s vast oceans by introducing a plethora of landscapes, items, and unique bosses for players to enjoy in a completely new way. The ability to play with other players across platforms was also another feature that the Switch‘s version of Minecraft seemed to lack. However, with this re-release, Minecraft for the Nintendo Switch can now play with other console versions of the game, PC, and of course, mobile. Nintendo Switch game collectors were always puzzled by Minecraft’s lack of a physical edition, but with this re-release, that too is now available for purchase for the same price as the digital release throughout all major stores. The content included in this physical release does not vary from the digital release, so the importance of this addition will depend on player’s inner collector. A free digital update of Minecraft for the Switch’s re-release is available for players who owned the game since its debut. As for their old copies, while it won’t be available for purchase to new players as of now, players who opt to not update can still play the game’s original version without hassle. 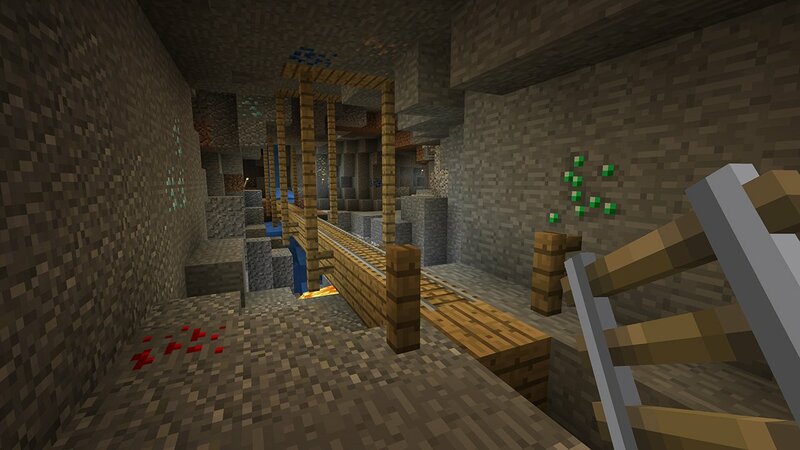 Minecraft took the world by storm at launch by being a one of a kind sandbox open-world game. Originally developed by Mojang and later acquired by Microsoft, Minecraft has come a long way since release. Originally released on PC in 2011, Minecraft has since found it’s way to most platforms including Xbox One, PlayStation 4, and mobile. Minecraft released on the Nintendo Switch near the console’s launch window. The Switch re-release is now available as a complete package on the eShop for $29.99 USD. Liked this article and want to read more like it? Check out more of Pedro D’avila’s work such as his Review of Smoke and Sacrifice for the Nintendo Switch, and his findings on Immortal Redneck’s reviewer scandal.